The aggregateRating field is recommended. The brand field is recommended. The review field is recommended. This Product is missing a global identifier (e.g. isbn, mpn or gtin8). 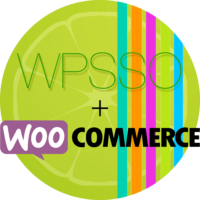 I’ve written a simple Step-by-step Guide for WooCommerce and WPSSO that explains these issues, and offers a quick and easy solution. WPSSO Core Pro and its WPSSO Schema JSON-LD Markup Pro add-on include a variety of additional product information in its Schema markup for WooCommerce products, including the product Brand, Color, Condition, EAN, GTIN-8, GTIN-12, GTIN-13, GTIN-14, ISBN, Material, MPN (aka Manufacturer Part Number), Size, and Gender. WooCommerce itself already manages information on product Availability (aka Stock), Prices, SKU, etc., but other WooCommerce product attributes must be created to provide additional product information. Why WordPress Image Sizes for Social Sharing and SEO? The image resolution may be too small. The image resolution may be too large and the file size too big. The aspect ratio (width or height) may exceed a maximum value. The image displayed on the social / search site is center cropped. WPSSO Core Pro and the WPSSO JSON Pro add-on provide complete Schema markup (aka Google’s Product Rich Card) for WooCommerce products, including all variations and extensive product information (size, weight, sale prices / dates, color, condition, etc.) – far beyond the basic Schema markup provided by the WooCommerce plugin itself. Most social and SEO plugins can use a post’s featured image, or offer a way to select a custom social image, but do little else to make sure an image is suitable for social sharing – they assume the article author / editor is aware of each social site’s image requirements (minimum and maximum image resolution, aspect ratio, and maximum image file size) and has selected an appropriate image. For example, Facebook requires that all images be larger than 200x200px, preferably 600x315px, or (even better) 1200x630px for high-resolution displays like retina laptops and phones, have an aspect ratio no wider / taller than 3:1, and less than 8 MB in size. Twitter and Google also have their own requirements, which are different than Facebook’s. Using a social or SEO plugin that creates resized images from the originals you upload, and checks those resized images to make sure they conform to the requirements of each social site, is only part of a complete Quality Assurance solution. All too often, themes also include a few basic social meta tags in their templates (they shouldn’t, but they often do), that prevent social crawlers from reading your webpage meta tags correctly – some meta tags should never be duplicated (Facebook, for example, can reject all meta tags because of a single duplicate), or the theme may include the full size featured image before all other meta tags, so the wrong image will be used for social shares (this is fairly common). If your social or SEO plugin does not check for duplicate meta tags, you may never realize that you have a problem. The following modules are included with the Pro version of WPSSO Core, and are automatically loaded if/when the supported plugins and/or services are required. The overall rating, based on a collection of reviews or ratings, of the item. An aggregate rating value is calculated from several customer ratings / reviews for the current webpage content (an e-commerce product review, for example). Google prefers — and often double-checks — that Schema markup reflects the current content of the webpage. So, if you want to manually set aggregate rating and/or review values in your Schema markup, make sure that these customer ratings and/or reviews also appear in your webpage content (ie. the ratings and reviews are visible). Did you know that WordPress creates thumbnails from images you upload? You may have already known this — not everyone does, but most WordPress users are aware of this (or at least should be). Did you also know that all resized images must be sharpened? This is common knowledge for photography and website design professionals, but probably not for the majority of WordPress users. And did you also know that WordPress does not sharpen resized images? WordPress creates several different thumbnail / resized images by default (see WordPress Settings > Media page for details) and potentially several more, depending on your theme and plugin settings. It’s not uncommon, for example, for WordPress to create a half-dozen (or more) images from the original image you upload. And in all cases, WordPress does not sharpen or make any adjustments to the resized image it creates! Google reads a variety of structured data from webpages, including e-commerce Product details, Recipes, Reviews, etc. — along with three standard Schema types from a website’s homepage: WebSite, Organization, and Person. In this post we’ll focus on the Organization markup — using Google’s preferred LD+JSON structured data format — which Yoast SEO, WPSSO Core, and most SEO plugins add to a WordPress site’s homepage. 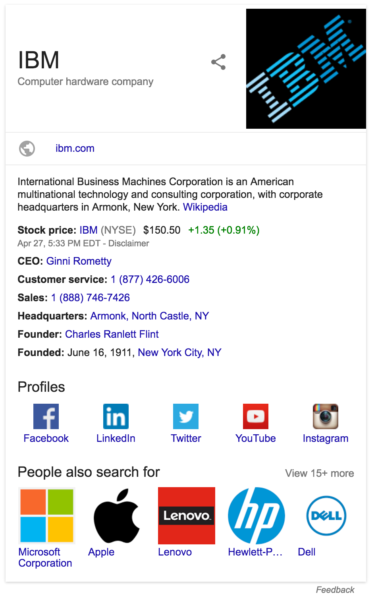 Google uses the Organization markup to enrich its Knowledge Graph information for the website’s Organization (aka Business, Corporation, etc.). See Google My Business, Your business information in the knowledge panel, and Improve your local ranking on Google for more information on Google’s Knowledge Graph and local business markup. See Google’s About Search Features and Structured Data General Guidelines for more information about the current Schema types recognized by Google. WPSSO Core (and its add-ons) can be used by themselves, or in combination with Yoast SEO and other popular SEO plugins — WPSSO Core will warn of any conflicting plugin settings and the Pro version of WPSSO Core includes integration modules to read post / term meta from all the popular SEO plugins. The following examples were created using the Free versions of Yoast SEO, WPSSO Core, and its Free add-ons. It’s official, as I’ve just learned from Mika (aka Ipstenu) and Samuel (aka Otto) — WordPress.org will remove the description and assets from all known deprecated plugins, so users landing on the plugin’s page will be told that “This plugin has been closed for new installs” and nothing else, leaving users to wonder what happened, why the plugin is closed, and what they should do next. I’m a strong proponent of letting users know why a plugin is deprecated, but Mika and Samuel have taken a hard-line against this, and have told me that all known deprecated plugins will be closed (except for exceptions — see below).